Home » Cyber Security Regulations for Corporate America? 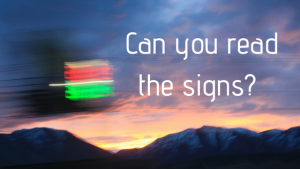 Can you read the signs? Changes for cyber security are coming your way! You’ve no doubt heard about Facebook’s recent situation. As a result of the irresponsible data sharing, the EU created and implemented the GDPR – General Data Protection Regulation. This took effect in Europe in May. It protects data by enforcing strict transparency practices for all companies that do business in the European Union. -Requiring all subscribers to opt-in a second time to any newsletters and marketing emails they may receive. The penalties for not adhering to the standards can cost companies millions of dollars in fines. A similar set of policies is very likely to be implemented in the US soon. Many US companies, especially if they have business with the European Union, have already started to comply with the GDPR, or are at least implementing very similar policies within their business. There are have been so many data breaches that it can only be a matter of time before there are strict cyber security measures put in place within the US. It is now past the point in our day and age where neglecting cyber security comes without it’s expansive consequences. And no longer will companies be able to us “we were hacked!” as an excuse to customers when situations arise. Cyber security should be a central focus of every company doing business. Many companies are reluctant to spend time and energy on cyber security, but if policies are in full swing they will have no other option. Fibernet can help if you are large or small, growing or shrinking, adding or subtracting! We want to help provide you with secure solutions.